Rowan has never seen anything outside of her own house and yard. She is an illegal second child and would be arrested, or worse, if anyone knew she existed. 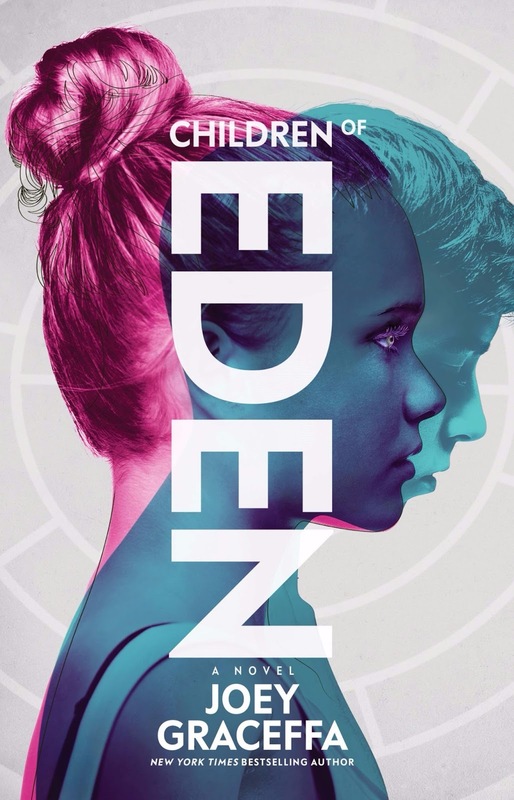 Rowan's mother informs her that she has arranged for Rowan to receive black market eye implants that will give her the same rights as anyone else in Eden. The catch is that she will have to go live with another family and never seen any of them again, not even her beloved twin brother. On the way to the surgeon's office, they are stopped by government police officers and Rowan barely manages to make her escape. But the danger is just beginning for her and those close to her. I'm sighing as I try to figure out what to write about this book. I didn't have high hopes for it to start with because 1. It has not been reviewed by any of my usual sources; 2. The author is a reality TV star/YouTube sensation; 3. The premise seems to be a direct copy of Haddix. My expectations were right on target in terms of my enjoyment. The surprise revelations were not surprises to me and things went exactly where I expected. The writing is not great overall with large chunks of action just being skimmed over a paragraph. How many times did a character say to Rowan "Do you trust me?" Considering that she had never met either of these people until two days before and that both of them betray her at times, I don't know why she should trust them. It was just a trial to make it to the end.